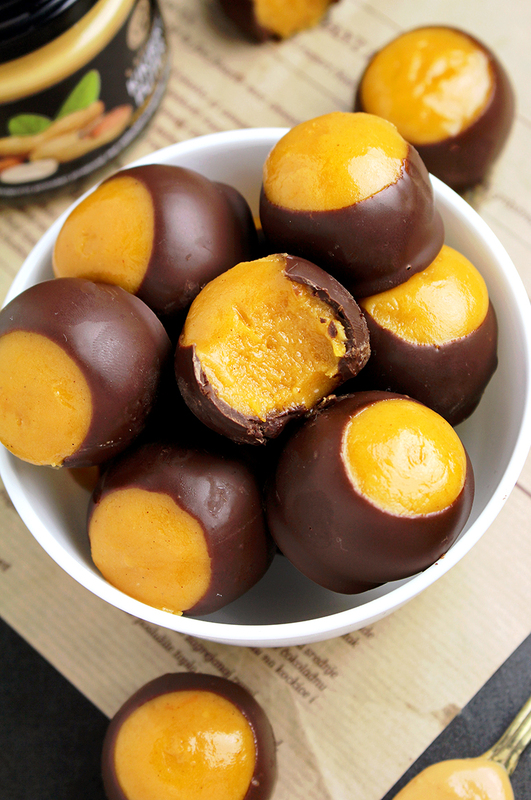 Pumpkin mania goes on, with this Pumpkin Sweet Spicy Buckeyes dessert recipe! You can smell fall in the air along with the smell of fall treats coming from kitchens. After a walk like that, I made this special dessert a pumpkin buckeye to make my day complete. It was quick and easy to make and guess what… you don­‘t have to bake it! 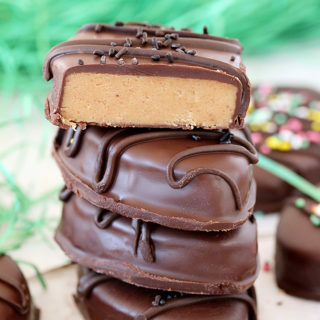 Pumpkin + peanut butter + chocolate = perfection. 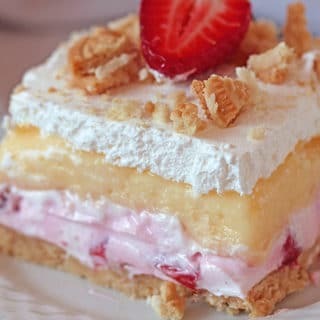 Pumpkin buckeye is definitely love at first sight and love at first bite… You can take a look most popular dessert recipes on our blog – Caramel Apple Crisp and Strawberry Blueberry Icebox Cake. Decorative and delicious bites will definitely be everything you expect them to be. This slightly different version of peanut butter buckeye will be a real treat for pumpkin lovers. Put both pumpkin puree and peanut butter in a medium sized dish. Mix it together and add softened butter, salt and cinnamon. Mix it again. Add powdered sugar and mix well until it becomes well combined. Leave it in a fridge for about an hour, until it cools. After an hour, take the mixture out and make balls out of it. There should be around 20-25 balls. Place them on the waxed paper and put them back into the fridge. Don‘t worry if you can’t make the balls perfectly shaped. Meanwhile, melt the chocolate and leave it aside to cool for a while, so that the balls wouldn’t melt. Take the balls out of the fridge and shape them again. Place a toothpick in the middle of each ball. Dip ⅔ of each ball in the melted chocolate. Place them on the waxed paper again and put them back into the fridge until served and…enjoy it! You can keep them in a fridge for a couple of days. 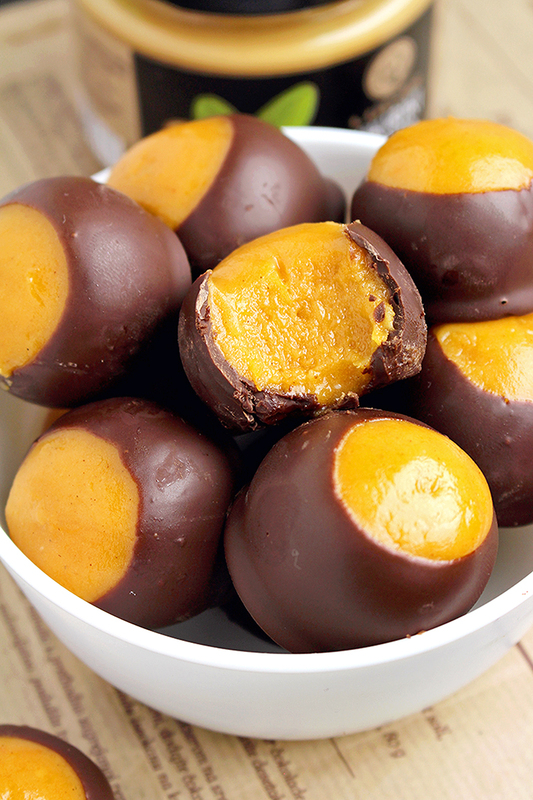 Can you please share how you get the Buckeyes to look so perfect? Mine have never come out that pretty! 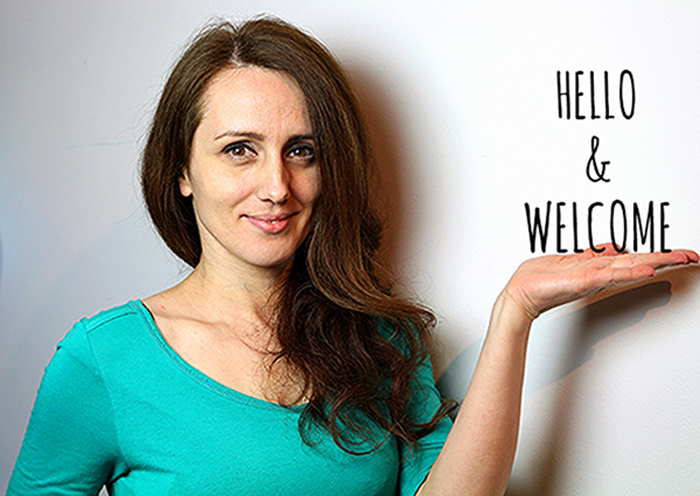 Thank YOU, Amy 😀. 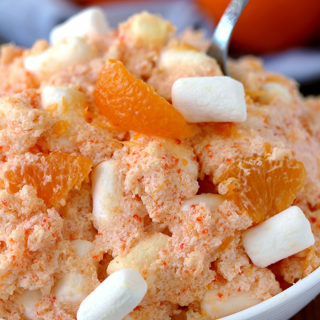 Just follow the recipe instructions, it’s Easy No Bake dessert. 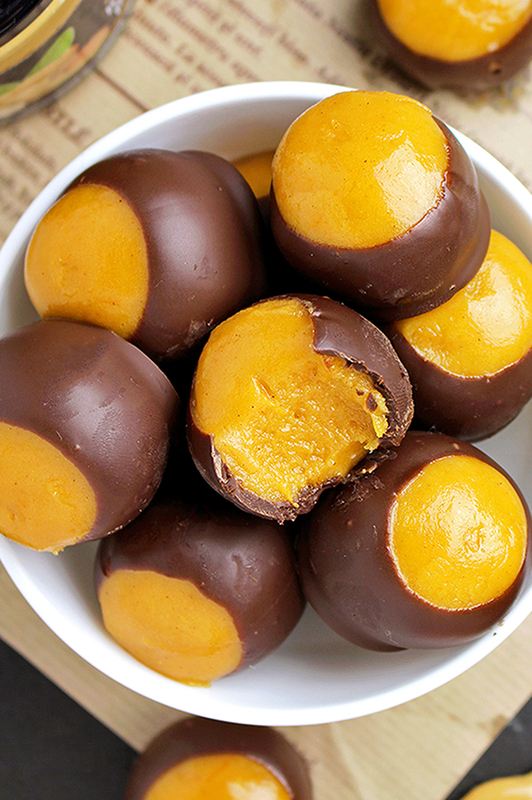 Pumpkin puree + peanut butter + chocolate = buckeyes perfection.